An interesting piece over at the Australian Broadcasting Corporation, who reported with the Royal Australian Air Force's 75 Sqn at Exercise Aces North, which recently concluded over at the RAAF bases in Australia's Northern Territory. Aces North 2013 is the final phase of the No 32 Fighter Combat Instructor (FCI) course, which is conducted every two years and provides experienced F/A-18 A/B Classic Hornet, F/A-18F Super Hornet Pilots and Weapon System Officers with five months of highly specialised training in all air combat related roles. 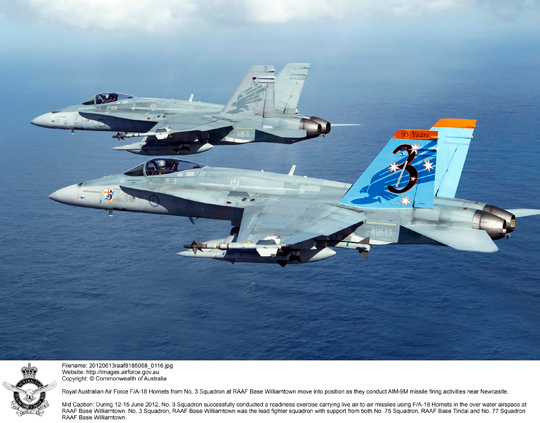 The exercise was held from June 3-28 and involved the RAAF's F/A-18A/B Hornet, F/A-18F Super Hornet, the E-7A Wedgetail and a KC-30A Multi Role Tanker Transport. 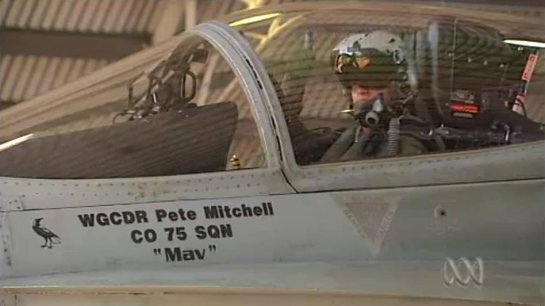 For those who are unaware, the main character in the 1986 movie Top Gun (played by Tom Cruise) is Pete Mitchell and his callsign is Maverick.